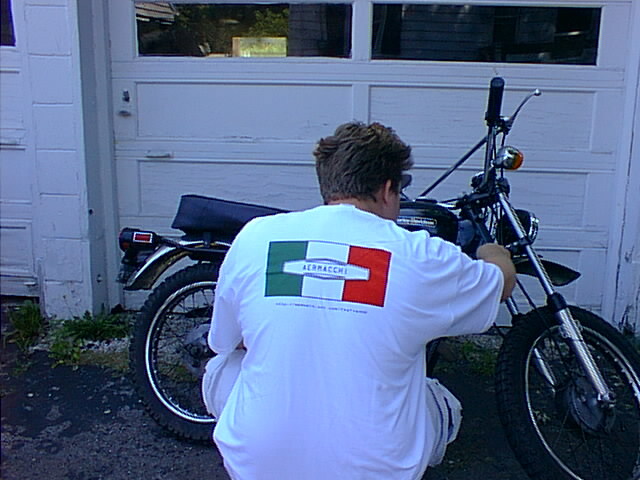 Italian flag with Aermacchi logo and web site address on back. 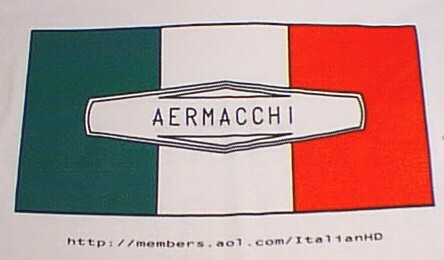 Small Aermacchi logo in front center. 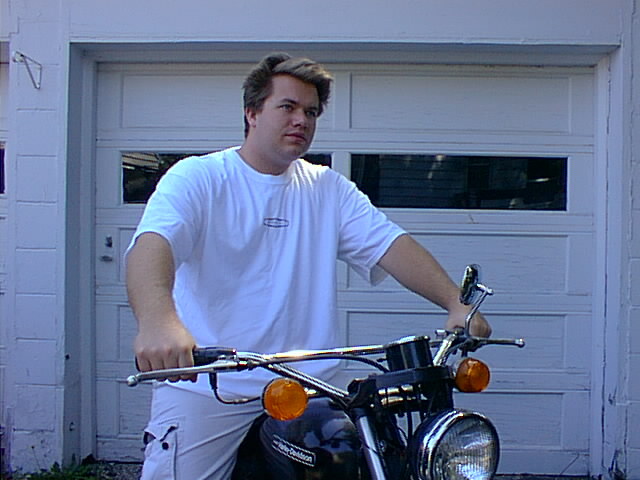 NOTE: Shirt has old (no longer working) website listed on back. Orders are usually shipped via United States Postal Service. We reserve the right to use other shipping services.